After Bangalore, Chennai, Mysore, Kochi cops started a drive against Royal Enfield motorcycles with loud exhausts, it is now Pune Police which has joined them in this drive. 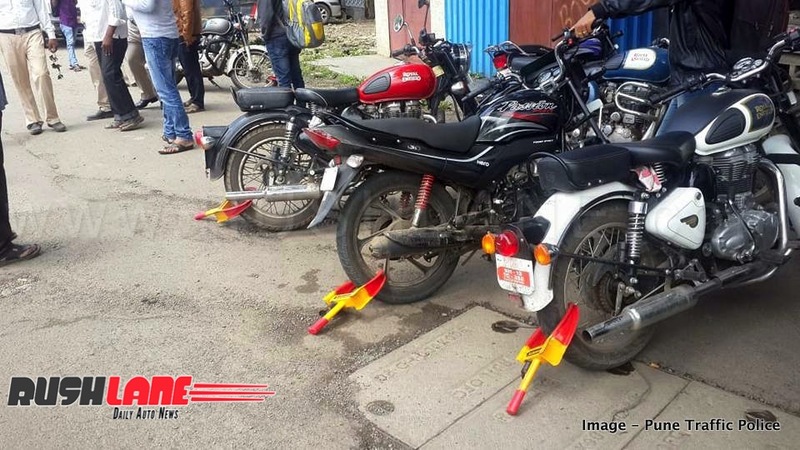 Following continued Bangalore police action against altered/modified silencers on mostly Royal Enfield bikes and others, public reaction has been mixed. In the meantime, Chandigarh coppers too have taken a strict stance against bike alterations and alongwith removing altered pieces, have been carrying out drives at mechanic and mod shops to prevent such installation. The latest police action on alteration in silencer and bullet silencer has been carried out by Pune police. In a special drive, coppers stopped and challaned 25 bikes and a fine of Rs 25,000 was collected. The rate is a lot less than that being charged in Bangalore where challan slips being handed out for the same offence vary from Rs 2,000 – 3,000. Once booked, modified and altered silencers are being termed as ‘Defective Silencer’ by police forces and removed. In a number of cases, booked bikes are kept at the arresting cop station’s parking lot where the vehicle is pretty much no one’s responsibility until the booked individual is able to rescue it. In Bangalore this means hiring a lawyer to represent you at an additional cost of Rs 2k-3k, going to court to pay the fine and returning to the cop station to show payment slip upto which the bike is released to the owner. In a large number of such instances, a ‘defective silencer’ is not immediately removed but owners needed to bring their original silencer to show to the cops as assurance with an understanding that they will be changing it. In the mix of offending bikes, Royal Enfield’s appear to be leading across cities. While most modded silencers are easy to spot, the question still remains that coppers should be armed with decibel metres to record sound violations above the 80 decibel limit. 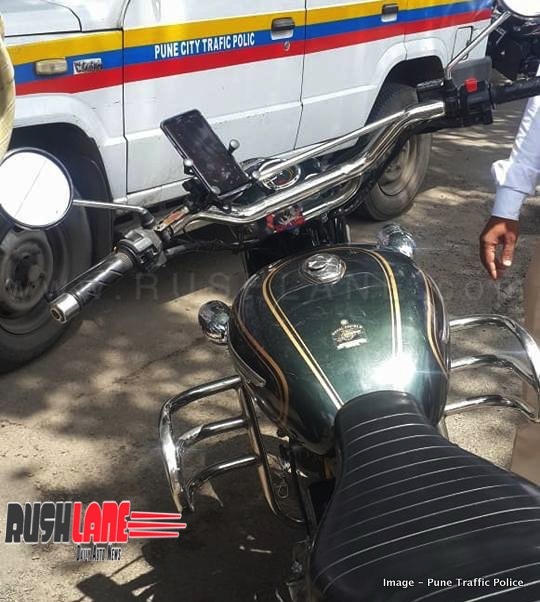 From Pune police’s update, it appears they have also booked a few other mods including handlebars.